At Harmon Oaks, we are plentiful of patience and humor. We would be crazy to be in this field if we had little of either! 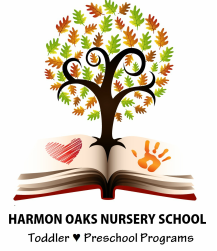 Harmon Oaks recognizes that there is no one right way of disciplining children. Discipline differs by culture, religion, family, and by child. Also an approach that may be successful in one situation may not be successful in another. So what can be done? It is important to understand children in order for the discipline to be effective. A parent or caregiver should be able to pick up on cues– rubbing of the eyes might signal sleepiness, sucking may be a way of communicating hunger; a child “acting-out” may be just that, hungry or sleepy, or in need of some tender care. However, a child “acting-out” may also be testing limits, and this is where it’s important for the adult to establish structure, rules, and limitations. How do you know what methods or techniques to use? The best method is to be prepared to expect the unexpected. Don’t be alarmed by the tantrum at the market register, and don’t be disappointed at your child when he or she doesn't want to share during a play-date. Sharing takes time to learn, just as tantrums take time to calm; the key here is to be patient– with yourself, with your child, and with others. Help lessen the number of times you say “no” to your child, and you’ll find that “trouble” becomes less frequent. Additionally, establish a routine. Preschoolers, especially, need structure and reasonable bedtimes. Their small stomachs and high energy levels frequently need nutritious snacks and meals. Establishing consistent times for eating, napping, and playing helps children learn how to pace themselves. Balance the day with active times, quiet times, times to be alone, and times to be with others. Take care of basic needs to help prevent frustrating situations with a cranky and whiny child. In short, more “yes,” less “no,” structure, patience, and a sense of humor are essential. Finally, know that it is healthy for children to misbehave occasionally. How often do adults have bad days, mood swings or simply want to be left alone? Children are no different! Harmon Oaks encourages parents to use redirection as opposed to isolation. For parents who are new to this approach, we invite you to consider its application. Often, the problem is not what the child is doing, but the way he or she is doing it. In this case, redirecting or teaching the child a different way to do the same thing can be effective. If the child is drawing on books, remove the books and say, “Books are not for drawing on.” Offer a substitute at the same time and say, “If you want to draw on something, draw on this paper.” If your child is throwing blocks, you can remove the blocks and offer a ball to throw. If the child wants to dance on the coffee table, help him or her down and ask your child to perform for you on the front porch. Harmon Oaks' teachers use positive reinforcement, as well as a number of books, rhymes, and songs that assist with discipline.